Matana Roberts thinks big, encouraging us to do the same. After emerging a few years ago as an uncommonly talented young alto saxophonist, composer and bandleader, at a time when she was a member of Chicago’s Association for the Advancement of Creative Musicians, she is now a quarter of the way through a sequence of 12 albums under the series title Coin Coin (the nickname of Marie Thérèse Metoyer, a freed slave who founded a colony in 18th century Louisiana). The first volume, Chapter One: Gens de Couleur Libres, appeared in 2011; the second, Chapter Two: Mississippi Moonchile, in 2013; the third, Chapter Three: River Run Thee, is just out. At her present rate of production, if my arithmetic is correct, she will complete the cycle in 2033, at which point those who are still around will be able to enjoy a vast, impressionistic and many-dimensioned view of the history of African Americans, seen through one artist’s eyes. Roberts calls what she does “panoramic soundquilting”: a particularly appropriate description given the development of quilt-making into an American folk art, beginning with the earliest settlers. 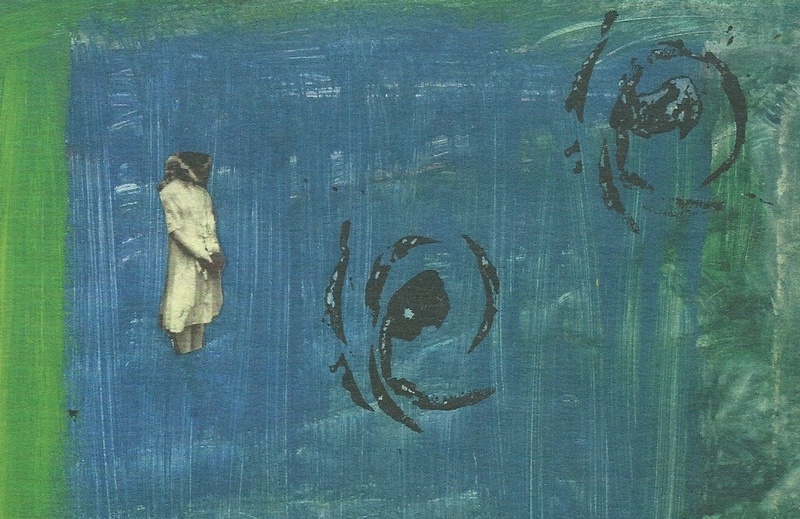 What her use of the term conveys is a willingness to use techniques of collage and superimposition to create layers of texture and meaning. Although Roberts is now based in New York, all three albums were recorded at the Hotel2Tango studio in Montreal. Each takes a quite distinct approach. Gens de Couleurs Libre juxtaposed her arrangements for a 16-piece ensemble with songs and readings from diverse sources, with an extended and disturbingly nonchalant depiction of a slave auction as its centrepiece. Mississippi Moonchile found the instrumental resources pared down to a conventional post-Coleman quintet, featuring Roberts’ alto and the trumpet of the excellent Jason Palmer — with the occasional intrusion of Jeremiah Abiah’s operatic tenor providing a provocative contrast. River Run Thee continues the process of reduction, and is a more demanding experience. Unlike its predecessors, it cannot be listened to as an album of relatively straightforward contemporary jazz, with horns and rhythm sections and riffs and improvisations based on the thematic material. Essentially a solo album featuring Roberts’s voice, alto, synthesiser and piano, it resembles not so much a quilt as one of Gerhard Richter’s abstract works, in which the painter partially scrapes through his own layers of paint to reveal disarticulated fragments of colour and pattern. The 12 movements of this chapter of Roberts’s giant work are indistinctly defined: whooshes and surges of electronic noise part to expose found sounds and voices recorded during a recent trip to the South, shards of free-floating saxophone improvisation and fragments of “The Star Spangled Banner”, “Lift Ev’ry Voice and Sing”, “All the Pretty Horses” and other pieces from America’s collective memory. As a child, Roberts’s imagination was fired when her grandfather, a Louisiana man, told her about Marie Thérèse Metoyer; now the South, and particularly the experience of slavery, forms the primed canvas for the whole work to date. Literal meaning, however, is not on offer. She seems to be excavating America’s memory in search of the elements, some of them far distant in time, that shaped her own life, using notes and words but intending to convey something beyond them, something they cannot express. The richness of her gathered material is what makes Coin Coin such a fascinating project, one whose future chapters and ultimate resolution are likely to be awaited with great anticipation for many years to come. * The painting/collage is by Matana Roberts and forms a part of the cover of Coin Coin Chapter Three: River Run Thee, released by the Constellation label. Lesley Gore was preparing for her studies in English and American literature at New York’s Sarah Lawrence College — whose alumni include Yoko Ono, Sigourney Weaver, Alice Walker, Carly Simon and Meredith Monk — while making some of the best records of the girl-group era between 1963 and 1965. Her voice had a sensible, wholesome quality that may have lacked the poignancy of the Shirelles’ Shirley Owens or the sexiness of the Ronettes’ Veronica Bennett but was perfectly suited to the songs that became her hits. If “It’s My Party” was the best known of them, and “You Don’t Own Me” achieved a different dimension of success after being claimed as a feminist anthem, it’s also worth remembering beauties like “Maybe I Know” (above), its wonderful groove created by Claus Ogerman’s arrangement, Quincy Jones’s production, and a bunch of great New York session men who’d probably forgotten everything about it by the time they sat down to dinner that night. “The Look of Love” is from the same template and just as fine: a world of danceable teenage anguish compressed into two minutes and three seconds. Both of them came from the pens of Jeff Barry and Ellie Greenwich. Her version of the classic “What Am I Gonna Do With You (Hey Baby)”, written by Gerry Goffin and Russ Titelman, is also extremely beautiful. She died yesterday, aged 68. Here’s Dave Laing’s Guardian obituary. She had quite a story. The first scene of The Theory of Everything is set in an undergraduates’ drinks party. It’s captioned “Cambridge, England, 1963”. In her book Travelling to Infinity, on which the film is based, Jane Hawking tells us that the date of the party at which she first encountered her future husband, the cosmologist Stephen Hawking, was January 1 of that year. The music being played for these middle-class university students in their sports jackets and cocktail dresses is “Heat Wave”, by Martha and the Vandellas. Which, as it happens, was not even recorded until June 1963. It was released in the US on July 10, and in the UK a couple of months later. Does it matter that the opening scene of a film supposedly based on a true story contains a resounding distortion? 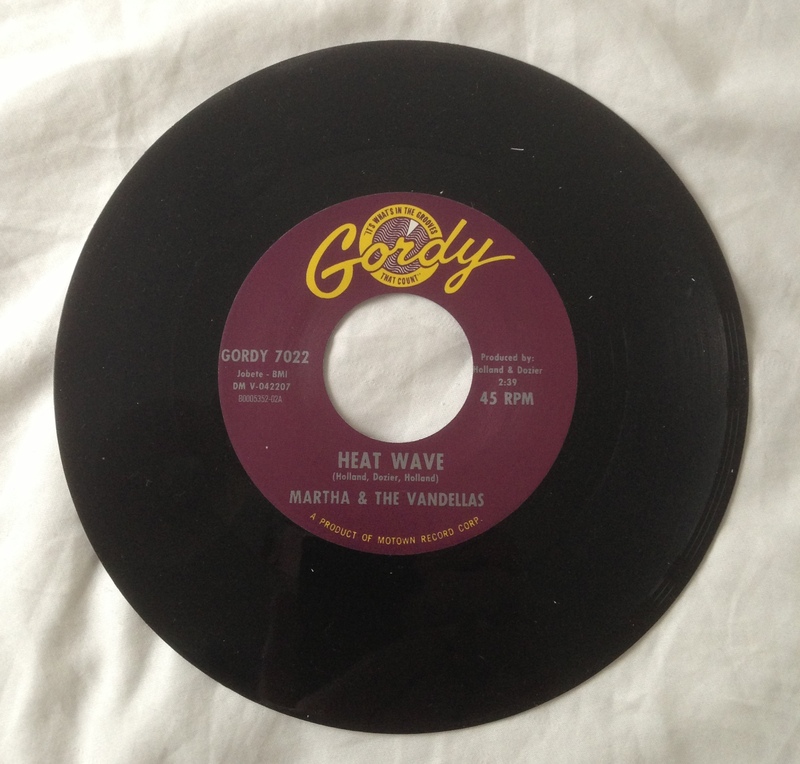 A more subjective opinion on the credibility of the scene’s soundtrack, but one likely to be shared by any British fan of black American music who was around at the time, is that in any case a record like “Heat Wave”, even had it been available, would not have been heard at an undergraduates’ cocktail party. Motown music, a year ahead of its UK breakthrough with the Supremes’ “Where Did Our Love Go”, was still an underground taste in Britain. Someone might have had a copy of “Love Me Do” to put on the Dansette, but “Telstar” or “Bachelor Boy” would have been more likely. As we know, however, the makers of films based on historical events like to go for “emotional truth” rather than the literal version. They must have persuaded themselves that “Heat Wave” — which does, of course, sound fabulous coming through cinema speakers — would set up the right kind of resonance in the minds of members of the audience who had no first-hand memory of the era. And that, to them, is what counts. The same thinking was in evidence last week in the final instalment of Bright Lights, Brilliant Minds, a three-part BBC4 series presented by the art historian Dr James Fox on pivotal times in the cultural lives of three major cities: Vienna in 1908, Paris in 1928 and New York in 1951. In the New York episode, Fox had lots of good stuff to examine: abstract expressionism, method acting, bebop, beat literature, the birth of the modern advertising industry. Quite legitimately, the programme chose to focus on five emblematic figures: Jackson Pollock, Marlon Brando, Thelonious Monk, Jack Kerouac and David Ogilvy. I could just about swallow the modern convention of putting the presenter front and centre, making him a bigger personality than anyone whose art the programme was actually examining. So, for example, we saw Fox evoking Kerouac’s world and work by driving an American car down an endless highway and feeding a big roll of paper into a typewriter. Puerile stuff — but that’s how these things have to be done, or so it seems, in order to get past the commissioning editors. The warning lights had started flashing, however, as soon as the first piece of music was heard under the opening titles: Charles Mingus’s “Better Git It in Your Soul”. A great piece, of course, and certainly evoking the energy of New York, the city in which it was recorded. “I think it all got started in one remarkable year — 1951,” Fox told us. “This was the year in which the city’s irrepressible creative spirit exploded into life.” Except that “Better Git It in Your Soul” was recorded, as part of the sessions that produced the classic album Ah Um, in May 1959. There was more great background music to come, all of it used to underscore the events and the atmosphere of 1951. Art Blakey and the Jazz Messengers playing Bobby Timmons’s “Moanin'” — recorded in 1958. Link Wray’s “Rumble” — also from 1958 (and recorded in Washington DC). Percy Faith’s “Theme from A Summer Place” — written for a 1959 film. Gil Evans’s “Where Flamingos Fly” — recorded in 1960. Dave Brubeck’s “Unsquare Dance” — recorded in 1961. So why, one had to ask, did the programme’s makers shun the music of 1951, about which the presenter waxed so lyrical? Presumably they’d given it a degree of thought, and concluded that the sounds of Charlie Parker’s “My Little Suede Shoes”, Bud Powell’s “Parisian Thoroughfare”, Joe Turner’s “Chains of Love”, or Dizzy Gillespie’s “Tin Tin Deo” — all recorded in 1951 — did not fit their conception of what today’s audience would think of as evoking the cultural phenomenon they were attempting to describe. I’m not sure that any of this really matters except to those, like me, who fear that once everyone with a first-hand memory of everything that was important to us has gone, a kind of chaos will ensue. But that is, I suppose, how all history eventually comes to be written. You only need to pay close attention to the way Bob Dylan delivers the line about “the sunburned hands I used to hold” to understand the value of Shadows in the Night. For me, his version of “Autumn Leaves” is the album’s most fully realised song: against the subdued but glowing accompaniment of pedal steel, acoustic and electric guitars and bowed double bass, out of tempo for all but eight bars in the middle (which include the line quoted above), he immerses himself in Joseph Kosma’s gently falling tune and Johnny Mercer’s beautifully simple lyric and makes the combination, and the emotions they evoke, sound as real as anything he has ever sung. That’s where he outflanks those who doubt the right of a man lacking in conventional vocal equipment to tackle these songs and to evoke so explicitly the memory of Frank Sinatra. They’re the ones who will point out that Sinatra listened to Jascha Heifetz and Tommy Dorsey and swam lengths underwater in order to develop his breath control, enabling him to deliver those long legato lines without a break. Lacking any of that technical equipment, Dylan brings it off. He makes me see those sunburned hands. Once that’s accepted, the whole album starts to make sense. As outlined in this fascinating interview with the magazine of the American Association of Retired Persons, his basic decision was to reject the temptation to overdo the arrangements, even down to the omission of a piano, and to rely on the special approach developed by his excellent touring band over recent years. Thus he gives the album both an artistic focus and a freshness missing from most contemporary assaults on the Great American Songbook. The thing of sliding gently in and out of tempo is a feature of the album. Although never played for drama (you might not even notice it happening), the device is used to stir the songs’ emotions. The approach requires, and gets, the highest degree of sensitivity from his musicians. On three tracks the simple arrangements for a brass trio (trumpet, trombone and French horn) add another unexpected shade to the palette of muted but glowing colours, reminding me of the effect of the horn chart Booker T. Jones created for the playout of “Georgia on My Mind” on Willie Nelson’s classic Stardust. Dylan seldom shirks a challenge, and the biggest one here is the re-interpretation of “I’m a Fool to Want You”, a song inextricably linked to the doomed affair between Sinatra and Ava Gardner. It’s Sinatra’s confession of emotional helplessness, and probably no one else should attempt it. 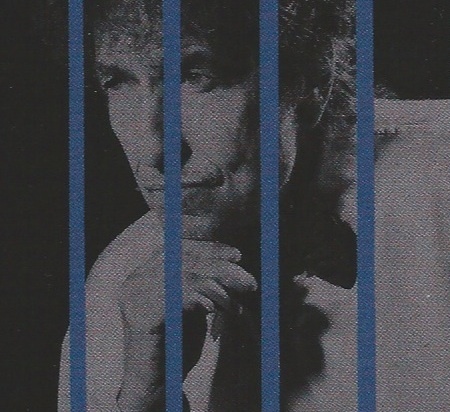 But Billie Holiday did, unforgettably, on Lady in Satin, and that’s another obstacle Dylan has to surmount. He chooses to open his album with it, too, as Holiday did hers, thus inviting an even more direct comparison. It doesn’t matter. For me, the whole thing works — even the choice of “Some Enchanted Evening”, the most obvious example of the kind of sentimental romantic Rodgers-and-Hammerstein ballad the young Dylan was supposedly invented to banish for ever. But these observations on love are never obsolete. And in the end, after the shock of hearing Dylan tackle these chromatic melodies and moon-and-june rhymes, it’s impossible not to be moved as this 73-year-old man persuades us that, like Sinatra and Holiday, he knows all about the sweetness and the pain of which he sings. The sunburned hands. That’s what matters. Mostly just trumpet and drums, with the occasional wash of electronics, Eyebrow’s Garden City is one of the most beguiling records I’ve heard in ages. I should imagine that anyone who loves the work of Jon Hassell (particularly the classic Fourth World Vol 1: Possible Musics album with Brian Eno) or Arve Henriksen’s series of solo albums on the Rune Grammofon label will respond to what this Bristol-based duo are up to: a music of substance and elegance that slips easily between foreground and background, unassuming in its surfaces but best rewarding the closest attention. They were formed in 2009, and this is their fourth album. 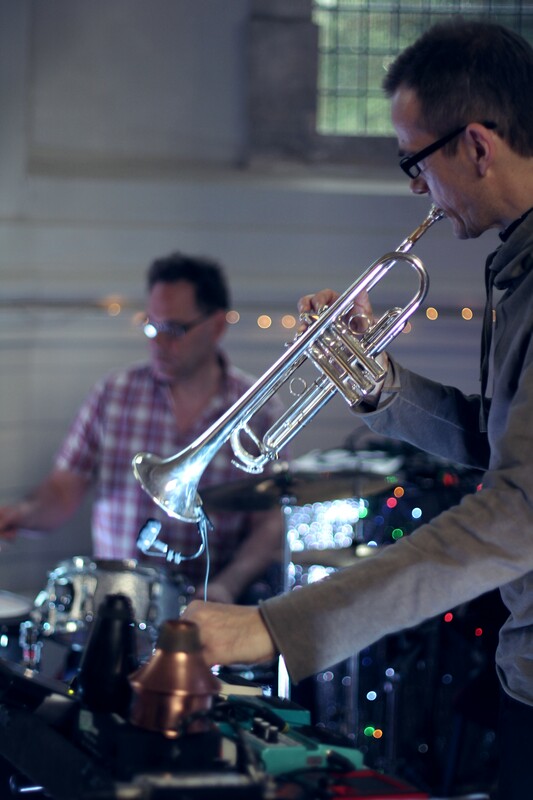 Pete Judge, the trumpeter, also plays with the excellent quartet Get the Blessing, while Paul Wigens, the drummer, has a CV including spells with Blurt, Natacha Atlas, Viv Albertine, Damo Suzuki and Gary Lucas. On a couple of tracks they’re joined by the bassist/guitarist Jim Barr, another member of Get the Blessing (and of Portishead’s live band). 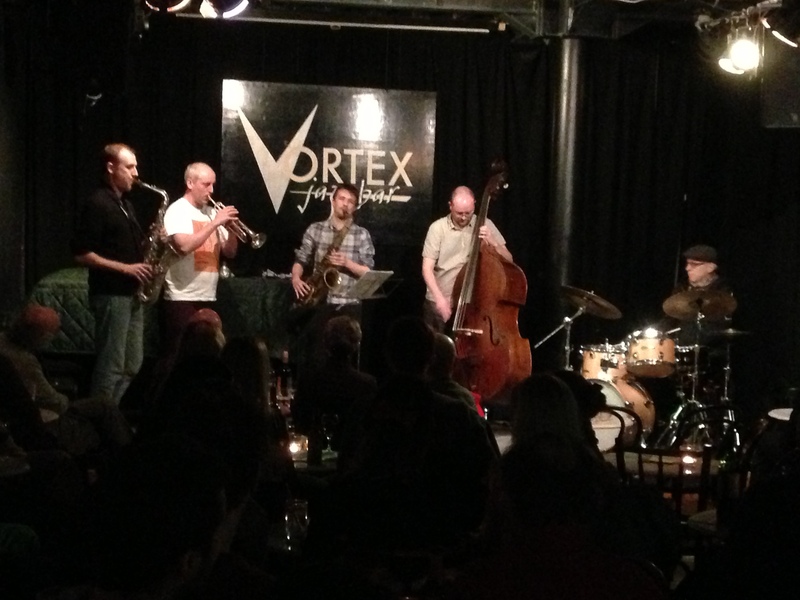 The format is simple: Wigens sets up an uncluttered, cleanly articulated and sometimes deceptively straightforward basic groove — using not much more than snare and bass drum and hi-hat, occasionally a tom-tom or two — over which Judge moves between written themes and the kind of improvisation that feels as though it grows directly out of the material, with subtle use of mutes and treatments. Barr makes it a three-way conversation with a lightly distorted baritone guitar on one track, “Blind Summit”, and adds a discreet baseline to another, “Scrim”. On “Thaw”, for example, at 13 minutes the longest piece of the set, a soft electronically-generated background figure runs in and out of phase with Wigens’s slip-sliding pattern, while Judge plays long tones that are eventually expanded by echo or superimposition. Two-thirds of the way through there are a few moments of understated drama when the drummer drops out, allowing the trumpet to soar and resound as if under a cathedral dome. This is music of quiet imagination and intimate beauty, spare and discreet without being forbiddingly austere, and recorded with fine clarity and presence. It’s on the ninety&nine label (www.ninetyandninerecords.com), and you’ll find a few samples of the music on the band’s own website here. I hope a lot of people get to enjoy it. * The photograph of Paul Wigens and Pete Judge was taken by Mark Taylor in Arnos Vale Chapel, Bristol.